'Time is money' as the old adage states, and in business, nothing could be truer. A business is run by its staff and it's important to make the most of each person-hour that is available. Wasted time is, essentially, wasted money, so efficiency and productivity are key. In order for organisations to be both efficient and productive, it's necessary for them to manage their staff time well. This can be done using employee scheduling software. 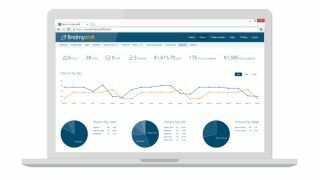 Employee scheduling software provides organisations with an overview of how many staff-hours are available, and the hours that different tasks need assigning. But its role extends beyond just assigning shifts and tasks to staff members. It can allow organisations to find staff members who are actually available to work based on skills and availability, move shifts around, calculate pay and overtime, and plan annual leave. Scheduling software might also flag up when there is a time resource conflict or problem, and will provide a means of delivering different reports on business hours and costs. As with any business software, there are a variety of different employee scheduling software options from which to choose. Different platforms are built to suit different types of business and it's important for any organisation to know what it requires from its scheduling software. This article provides an overview of some of the most popular pieces of employee scheduling software available, providing a description of each. Shift planning was set up in 2009 and has since become a leading name in the employee scheduling software market. Indeed, T-Mobile, Hulu, Pizza Hut and AirBNB are counted amongst its clients. The company says it was founded on the premise that online scheduling would reduce the time it took to schedule via other methods by 80%, affording managers and entrepreneurs more time to focus on other areas of their businesses. It also claims to boast the highest customer retention figures in the industry, which it puts down to taking on board customer feedback. ShiftPlanning touts its service as being very easy-to-use with an intuitive interface. The platform provides scheduling, time clock, payroll and human resources features. Employees are able to set their availability and conflict-free schedules can be automatically created. Schedules update in real-time to ensure that everyone is always looking at the most recent version, and a user's schedule can be synced with third-party calendar applications such as Google Calendar, iCal, and Outlook. Time clock software allows employees to clock in and log time online from wherever they are. Managers can limit where employees can clock in from, though, if needs be. Facial recognition can be used to verify users logging in, whilst managers can view who is logged in at any given time and can track lateness and absences. ShiftPlanning integrates with a host of third-party payroll packages, ensuring that clocked time can be directly processed for wages. Overtime rules can be set up and managers can view detailed reporting. HR departments, meanwhile, are able to manage annual leave and absences, keep HR documentation in order and view or compare employee performance. Users can access ShiftPlanning via desktop computer or via mobile apps for iOS, Android and Blackberry. New users can dip their toe in the water with a free 30-day trial, whilst free training and 24/7/365 support are provided for existing users.